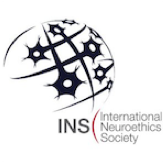 When my neuroethics mentor approached me with a publication from Trends in Cognitive Science called “Functional Connectivity of the Human Brain in Utero” (1) in hand, I was immediately delighted by the idea of performing an ethical analysis on the use of functional Magnetic Resonance Imaging (fMRI) on fetuses in utero. As of right now, I’m still conducting this ethical analysis. Using fMRI to look at human brains as they develop in utero is groundbreaking for a couple reasons. For one, there is a vast difference between the fMRI method currently used to investigate developing brains and previous methods that were used to examine fetal brain development. Research on developing brains had utilized preterm neonates, or babies born prematurely. While these data are valuable, there are issues with validity associated with this method: early exposure to an abnormal environment (e.g. being in the intensive care unit, where many preterm babies go after birth, being in an MRI machine, etc.) for a fetal brain, incomplete exposure to the essential nutrients and protection offered by the womb, and the plasticity of the fetal brain all can cause preterm neonates to experience differences in brain development (2). An accurate map of the brain as it typically develops will not be truly accurate if it is produced solely using preterm neonates. However, surveying a developing brain while it is still in utero, as can be done with fMRI in utero, is a different matter altogether. The chances of this research providing a more accurate picture of the developing brain increase due to the uninterrupted development of the fetus in utero. Secondly, the sheer amount of insight that can be gained by performing fMRI in utero opens doors to talk about consciousness. 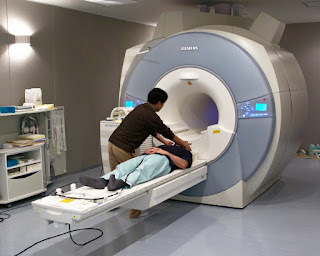 For example, fMRI allows for the functional connectivity of different brain structures like the default mode network (DMN) and the cognitive control network (CNN) to be observed. The DMN includes the connected regions of the brain thought to work together when the brain is at rest and is an area of interest for research on various mental disorders such as autism (3). The CNN on the other hand includes the connected regions of the brain that are active when you are exerting cognitive control over your thoughts and actions (12). Both of these functionally connective areas are of interest when exploring what sentience, consciousness, and (potentially) disease arise from. Using fMRI in utero would assist in providing an accurate picture of how brain connectivity develops and would give insight into when these areas become operational. Potentially, attributes like "sentient" and "conscious" could be accurately applied, or conversely, removed from fetuses at specific developmental stages. The idea of fetal sentience would perhaps change the conversation about the way fetuses are popularly considered. Killing a sentient creature isn’t a particularly savory thought, and recently it’s only been a best guess as to when a fetus becomes sentient (10). With fMRI leading the charge on understanding when structures in the brain connect to generate sentience, the exact moment when a fetus becomes sentient, or the developmental stages in which degrees of sentience appear may become clearer. This would inform everything from policy on abortion to women’s health care and fetal moral status. Beyond the observation of sentience, there is evidence that a connectivity difference may be seen in adults with neuropsychological disorders such as ADHD (4) and schizophrenia (5). If the underlying structures for brain connectivity are understood, these disorders may be predicted as early as in the womb, which would make fMRI a relevant diagnostic tool that could be used in utero. An early diagnostic tool for neuropsychological disorders may also inform the abortion debate. A pregnant woman who is informed that the fetus she’s carrying will be born with a disorder may choose to abort (14). There are some who would claim it is her duty to do so (11) and others who would claim that selecting a fetus based on this potential for neurodevelopmental difference or disorder is a type of discriminatory act (12). As the scientific community continues to explore these possibilities and performs fMRI studies on pregnant women and their fetuses, the safety of the test subject (i.e. the pregnant mother) should be the priority. Some situations may place a pregnant woman at a higher risk of harm or stress than a non-pregnant woman would experience in the same situation. 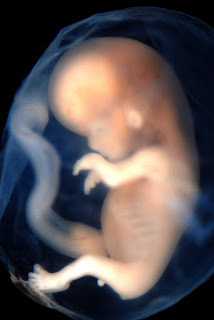 Fetuses are also vulnerable to these harms or stressors since a danger to the mother results in danger to the fetus (2). Three potential risks to the fetus are heat, sound, and stress due to multiple fMRI sessions. These three risks could be encountered by the fetus multiple times throughout the pregnancy, should the mother be enrolled in fMRI research for the duration of her pregnancy. For example, heat exposure in fMRI scanning may be difficult for a fetus to tolerate since fetuses are incapable of regulating body temperature (9). In the fetal stage, the growth of important structures of the fetus, like systems of muscles and nerves, can be reduced by abnormal exposure to heat. It has been noted that the nervous system may develop with defects due to heat exposure as well (6). Heat effects on embryos and fetuses have been studied using rats, guinea-pigs, hamsters, and other smaller rodents. In all these species, at all stages, fetuses were at risk for developmental delays or defects depending on when heat was administered (6). A fMRI will not cause a pregnant woman's body temperature to raise as much as the rodents experienced in the studies and certainly not for so long. However, my concern isn’t that in one iteration the temperature will cause developmental damage to the fetus; my concern is what happens to a fetus developmentally after multiple exposures and an irregular amount of heat exposure over a long period of time. Due to fetuses being mobile subjects, multiple iterations of a fMRI session may be needed to capture a specific developmental period and to capture the brain at many different parts of the developmental time frame. With all the exposure to fMRI heat, sound, and the stress the mother may accrue, precautions should be in place to prevent overexposure to these risks. Additionally, the informed consent document for this research should mention that there may be potential long-term risks to participating that are currently unknown and thus possibly unaccounted for. While attending the 2017 International Neuroethics Society (INS) Annual Meeting, I was put in touch with a radiologist who suggested that to moderate the amount of heat energy the fetus and mother absorb during the fMRI trial, you must first note what type of pulse sequence is used. Pulse sequences in fMRI scans determine the contrast between different types of brain structures to provide better clarity, e.g. between grey and white matter (8). Furthermore, repeated and lengthy exposure to sounds above the threshold that fetuses hear has been linked to abnormal chromosomal development, hearing damage, and (as a result) poor sociability (7). The same radiologist offered his expertise here as well. He told me that modifying the pulse sequence modifies both sound and heat. As I mentioned in my first paragraph, my ethical analysis is still underway. Moving forward, I will be referring to experts in radiology on safe parameters and safety precautions. Stress that mothers experience over the course of a pregnancy may cause developmental problems, including, but not limited to, central nervous system damage (2). It’s possible that being involved in a longitudinal study may put extra stress on some, but certainly not all, pregnant women. Researchers should observe pregnant women closely for signs of stress and have follow-up interviews to watch for abnormal stress as well. I had the pleasure of speaking briefly with Dr. Thomason, one of the authors of the paper that sparked this journey, about her own test subjects. She claimed that her mothers did not feel abnormal stress throughout her fMRI studies. I think this is wonderful, but I would be remiss if I assumed this will always be the case. Moving forward, precautions need to be made to ensure that the well-being of the subjects is prioritized. Not only because this is the ethical path, but also because protecting the development of the fetus would also preserve the validity of the data collected. In addition, special attention should be paid to this research due to the insight it can provide regarding fetal brain structure and connectivity and even perhaps what qualifies as (morally relevant) sentience. Molly is an undergraduate psychology major, in her third year, at George Mason University. 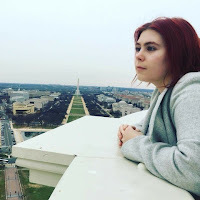 Her minor is neuroscience and she has been interested in neuroethics research since her second year. She has been conducting psychology research in multiple labs on campus since right after her first year. She hopes to someday explore the ethical implications that come about from AI creation and wants to explore this question from the viewpoint of what consciousness is and if it is a relevant aspect of moral status. 3. Buckner, Randy L., et al. “The Brain's Default Network.” Annals of the New York Academy of Sciences, vol. 1124, no. 1, Mar. 2008, pp. 1–38. NCBI, doi:10.1196/annals.1440.011. 5. Garrity AG, Pearlson GD, McKiernan K, Lloyd D, Kiehl KA, Calhoun VD. Aberrant “default mode” functional connectivity in schizophrenia. American journal of psychiatry. 2007 Mar;164(3):450-7. “What Is FMRI?” What Is FMRI?, UC San Diego Center for Functional MRI, fmri.ucsd.edu/Research/whatisfmri.html. 8. Asakura, Hirobumi. “Fetal and Neonatal Thermoregulation.” Journal of Nippon Medical School, vol. 71, no. 6, 2004, pp. 360–370. J-Stage, doi:10.1272/jnms.71.360. 9. Sumner, W. I., & Feinberg, D. S. (1997). “A Third Way.” In The Problem of Abortion (3rd ed., pp. 98-117). Westminster Publishing Company. 10. Savulescu, Julian. (2001) “Procreative Beneficence: Why We Should Select the Best Children.”Bioethics, vol. 15, no. 5-6, Oct. 2001, pp. 413–426. PubMed.gov, doi:10.1111/1467-8519.00251. 11. Elizabeth Gedge, ‘‘Healthy’ Human Embryos and Symbolic Harm,’ In J. Nisker, F. Baylis, I. Karpin, C. McLeod, & R. Mykitiuk, eds. The ‘Healthy’ Embryo: Social, Biomedical, Legal and Philosophical Perspectives (Cambridge: Cambridge University Press, 2010). 12. Cole, Michael W., and Walter Schneider. “The Cognitive Control Network: Integrated Cortical Regions with Dissociable Functions.” NeuroImage, vol. 37, no. 1, Apr. 2007, pp. 343–360.ScienceDirect.com, doi:10.1016/j.neuroimage.2007.03.071. great article! brain development for kids is one of the best solution to make them shine into their future. Try luminosity games to improve our kids concentration power.